Fortis said he would be designated as a key managerial personnel. "At Fortis, Raghuvanshi will be responsible for the day-to-day management decisions, and to implement the firm's long- and short-term plans," it said in a notification to the exchanges. 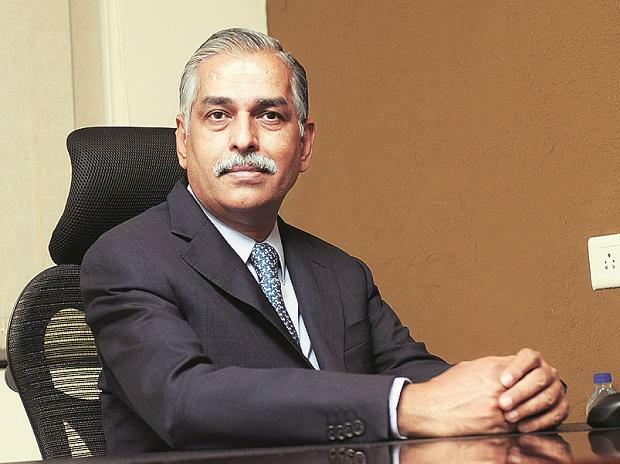 Ravi Rajagopal, chairman, Fortis, said, “With a proven track record as a successful clinician and an able administrator, Raghuvanshi has developed a deep understanding of the business, patient care and the healthcare sector." He replaces Bhavdeep Singh, who had tendered in his resignation as the CEO on November 8 last year citing professional and personal reasons. Raghuvanshi, a trained cardiac surgeon, was well suited to NHL, which drew over 40 per cent of its revenues from the cardiology division. Fortis, on the other hand, is a tertiary care provider with a new focus on organ transplants. Plans are afoot to start a new 250-bed multi-organ transplant centre at Arcot Road in Chennai. While the scale of Fortis is larger, if one includes the diagnostic business (SRL). However, its hospital business is largely comparable with NHL. Fortis also has a higher average revenue per occupied bed (ARPOB) at Rs 1.49 crore compared with Rs 90 lakh for NHL's India operations. Tan See Leng, MD and CEO, IHH Healthcare and board member, Fortis shared “With the healthcare industry in India witnessing a strategic paradigm shift, Raghuvanshi’s experience would be greatly valued in providing strategic direction and vision to the company. It will ensure that our focus on clinical excellence, outcomes, patient centricity and business results remains paramount." One area where a north-focussed Fortis can draw upon Raghuvanshi's experience is when it plans to expand its presence in the southern and eastern states. NHL draws bulk of its revenues from the Karnataka cluster (45 per cent) and east (32 per cent). Currently, Fortis operates its healthcare delivery services in India, Dubai, Mauritius and Sri Lanka, with 43 healthcare facilities (including projects under development), and approximately 9,000 operational beds. Raghuvanshi, too, managed the healthcare facilities outside of India at NHL, which operates a network of 50 healthcare facilities in India and abroad, with 6,228 operational beds. Comparing the financial health of Fortis and NHL, one finds Fortis to have reported a revenue of Rs 900 crore from its hospital business in Q2FY19. NHL, on the other hand, reported a consolidated operating revenue at Rs 732 crore IN Q3FY19, up 32 per cent year on year, and earnings before interest, tax, depreciation and amortisation (Ebitda) margin of 11.1 per cent. NHL has been doing well over the past few years with a revenue compound annual growth rate (CAGR) of 22.3 per cent between FY13 and FY18. Meanwhile, Fortis has been going through tough times, and its Ebitda margins have slipped in the past year. In Q2FY19, its hospital business had reported an Ebitda margin of 9.7 per cent compared with 15.5 per cent in the year-ago period. The beleaguered hospital major is, however, on a turnaround path. Its Ebitda margins have shown signs of improvement on a sequential basis (5.1 per cent in Q1FY19).